Using the Samsung Galaxy Book 2 I’m reminded of the time I tried to install curtain rods in an old flat using just a tiny Philips-head screwdriver. I got the job done, but it was a real pain in the arse. 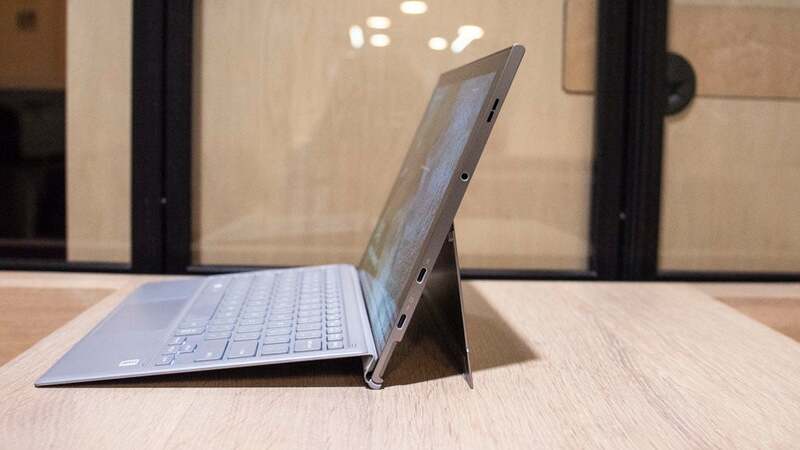 From its kickstand to its keyboard cover, the Galaxy Book 2 is a Surface Pro knockoff. Like the Surface Pro, it wants to be a lightweight, go everywhere productivity machine for busy people. It’s been jammed with features and add-ons that should theoretically make it a great buy for people who find themselves constantly needing to dash off a work email at inconvenient times. I used it as my primary laptop for a week, and it delivers on the extreme portability and flexibility if it seems a little unnecessarily hamstrung for a device that ships for $1,000 (£783; UK pricing and availability TBA). WHAT IS IT? Samsung's take on the Surface Pro. PRICE: $1,000 (£783) in the US; UK pricing and availability TBA. LIKE: Good battery life. Keyboard and stylus are included in the price. DISLIKE: It is so slow. Only 4GB of RAM. But what’s most disappointing is that for a $1,000 machine, the Galaxy Book 2 doesn’t have much power, and it’s frequently a hindrance for even light workloads. My daily usage involves Slack, Spotify, and a web browser. These are not high performance apps. Yet throughout my testing, I found myself close to maxing out the device’s memory and CPU capacity. Thinking the problem might be Google Chrome, I switched to Edge, just to see if maybe that had better integration with the chipset, but it made little difference. Anything more than a few tabs open causes the Galaxy Book 2 to slow down. This is a problem I’m not accustomed to, and that’s probably because I’m rarely using a machine with less than 8GB of RAM, where the Galaxy Book 2 has just 4GB, with no other configuration possible. In my view, that’s just not enough for a device that costs you $1,000. A contemporary workflow requires more than 4GB of RAM. Here we need to return to the question of price and value. In terms of benchmark performance, the Galaxy Book 2 realistically performs more like a device that should cost £400—it only performed slightly better than a £380 Surface Go. In fairness to Samsung, you’re not only getting the tablet portion of the device here, you’re also getting the keyboard cover, and the Pen, and the LTE connectivity, but it’s not worth the almost-£400 difference. 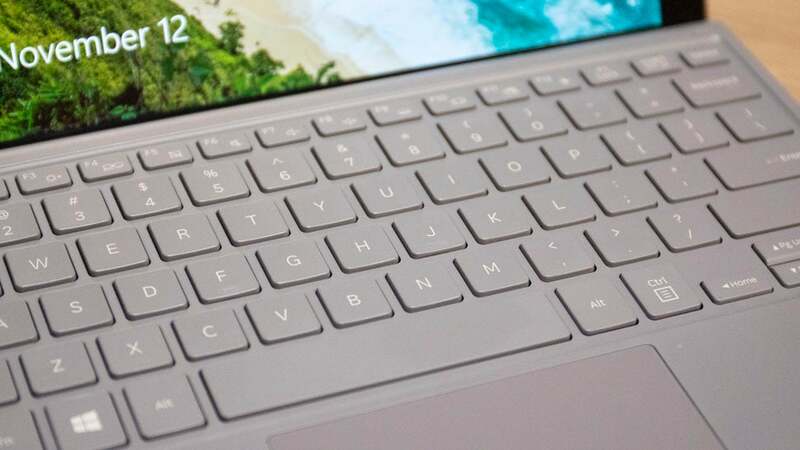 The keyboard is a competent input device, though it’s no match for the refinements of Microsoft’s Surface Pro keyboard. The included Pen works reasonably well for taking notes but it’s not precise and lag-free as you might hope. The LTE connectivity is useful, especially if you’re the type of person who hates asking for wifi passwords or refuses to tether with your phone. The LTE is very well implemented and works perfectly, I just don’t know that I personally need it very much. If you’re in the market for a laptop-device with LTE, you should definitely wait for reviews of the 10-inch Surface Go with LTE which ships next week. You can get one with a keyboard, a Surface Pen and 8GB of RAM for $909 (£712; UK pricing and availability TBA). Its 10-inch display is smaller, but it’s possible that you’ll get a little more power out of it. But think about it! If you’re willing to part with LTE there are lots of options—including 2-1 options—that will fulfil your needs without the performance hassles of the Galaxy Book 2. In the end, I did manage to get my work done on the Galaxy Book 2, but the device ultimately doesn’t make a very good case for itself. It tries to do a lot of things and manages to hobble its way through most basic tasks, but I’m not sure the user the Galaxy Book 2 invites you to imagine really exists. Who is this mythical person who needs a stylus or an AMOLED display on a device stutters and quivers when you’ve got too many browser tabs open? I think this person might not be real, and if they are, they would almost certainly notice that they spent $1,000 on weak performance. 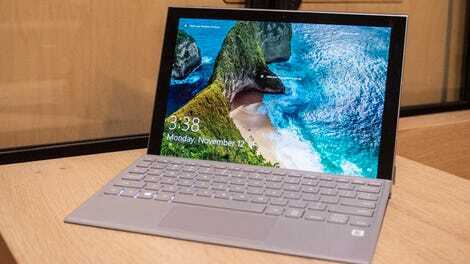 $1,000 (£783) is simply too much for a device like this, and you’re better off with a cheaper Surface Go or more powerful laptop that doesn’t have as many tacked on features.